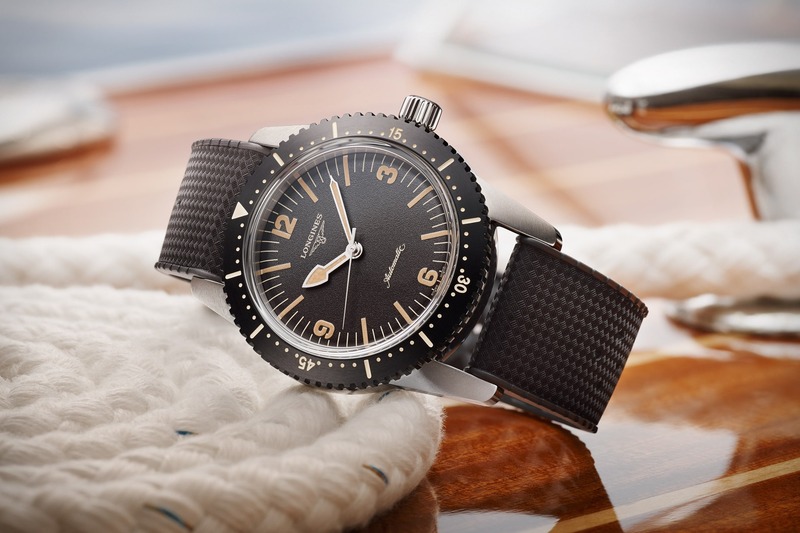 Longines has announced that they will re-issue the Lindbergh Atlantic Voyage watch. Paying homage to the Lindberghs’ and the watch that was originally used for their record breaking flight around the world, a beautiful 47 mm stainless steel, two dial chronograph has been created. Like the original, this one features a 30-minute counter, a 500 kph capable tachymeter and a fifth of a second chronograph accuracy. In 1933 the American aviator Charles Lindbergh set off with his wife on a trip of 47,000 km around the North Atlantic. Having achieved a remarkable technical and human feat in being the first man to fly non-stop across the North Atlantic in his Spirit of St. Louis, Lindbergh wanted to explore possible future air routes across the far north before returning to the USA via Cape Verde and Brazil. The equipment Lindbergh took with him on his long expedition included a wrist chronograph created specially by Longines for this very purpose. Today Longines is re-issuing this exceptional timepiece, known as the Longines Lindbergh’s Atlantic Voyage Watch, as a tribute to the historical feat achieved by this pioneer of the skies. In the wake of his solo flight in 1927 from New York to Paris – the first non-stop flight across the North Atlantic – Charles Lindbergh gained international fame and was in great demand by aviation companies, which were being developed at the time. Wanting to be of service, Lindbergh decided in 1933 to investigate possible air routes across the far north with his wife, Anne Morrow Lindbergh. The young couple set off from New York on a trip of some 47,000 km that would take them to New Foundland, Greenland, Iceland, Denmark, Sweden, Finland, Russia, Great Britain, France, the Netherlands, Switzerland, Portugal, the Azores, the Canary Islands and Cape Verde before returning to the USA via the Gambia, Brazil and Cuba. For this expedition, Lindberg decided to take a powerful aircraft with a 710 hp engine and a variable propeller. He also took two radios and an inflatable canoe in case they were forced to eject from the aircraft. During their trip, they christened their plane the Tingmissartoq, which is an Inuit word meaning “the one that flies like a great bird”. Lindbergh’s navigational instruments included a directional gyroscope, an artificial horizon, an icing gauge and two aperiodic compasses, all of which were the very latest equipment at that time. But Lindbergh also took with him a Longines chronograph developed specially for his flight to Greenland and the far north. This time-piece had a wristwatch chronograph movement with a 30-minute counter. It measured time to the fifth of a second and the chronograph mechanism also had a tachymeter that could measure speeds of up to 500 kph. With the flying conditions that were experienced by the Lindberghs, a reliable time-piece was one of the final safeguards as far as navigational instruments were concerned. 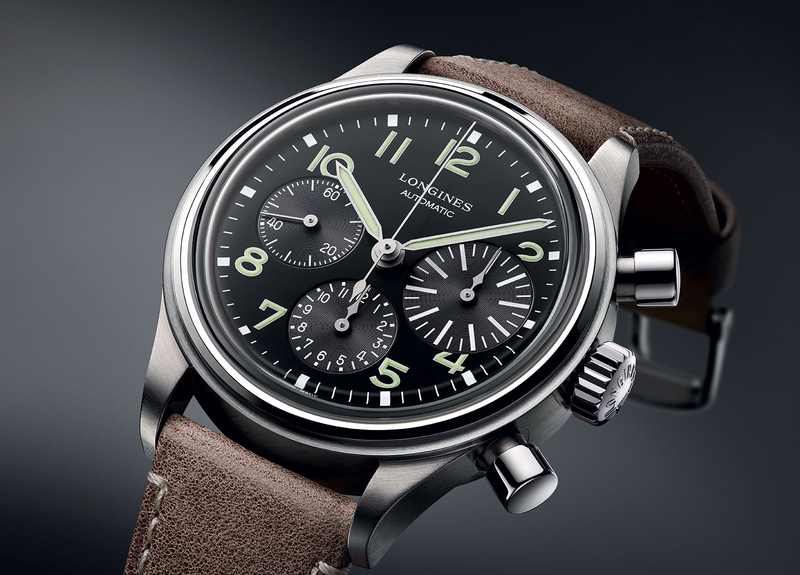 Longines’ creation of this timepiece for the Lindberghs’ trip around the North Atlantic was evidence of the confidence that the American aviator had in the Swiss watch manufacturer. In 1927 the time-measuring instruments created by Longines enabled the International Aeronautical Federation, for which the company had been an official supplier since 1919, to measure the duration of Lindbergh’s flight from New York to Paris with great precision. Subsequently, by virtue of his experience as a pilot and navigator, Lindbergh devised a system to improve the aerial and nautical navigation of the period. 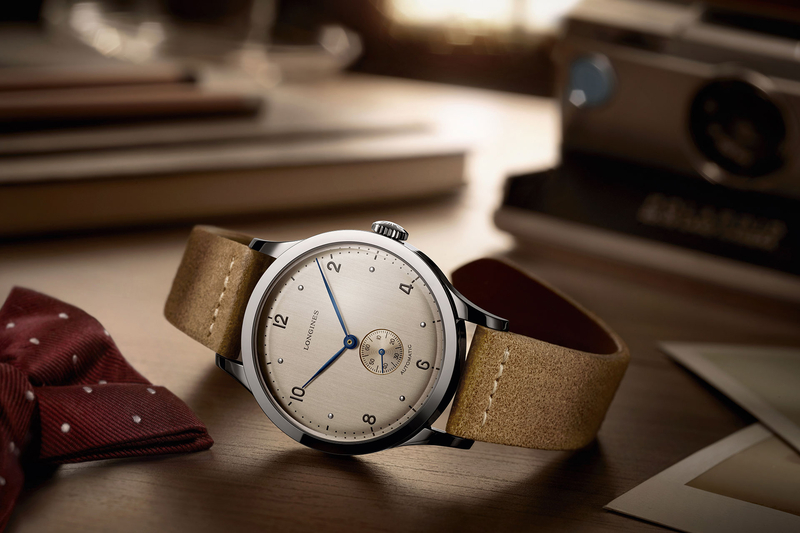 He contacted Longines, who put his invention into practice by producing the Lindbergh Hour Angle watch. Together with a sextant and a nautical almanac, the watch could be used to determine geographical position by calculating one’s exact longitude. In 1933, to mark its productive collaboration with Lindbergh, Longines designed the watch chronograph especially for the Lindbergh’s’ trip around the North Atlantic. he model has a sapphire glass and a solid case back that protects a transparent back cover through which the workings of the movement can be admired. The watch is mounted on a genuine brown alligator strap. The new versions are in either steel or rose gold. The Longines Lindbergh’s Atlantic Voyage Watch constitutes an exquisite contemporary version of a timepiece that was part of a great aeronautical adventure.